Do you want to change the appearance of your child's room? Vinyl wall decals are the way to go for a creative, yet inexpensive update of a room in your home! Children move through phases in their young lives in which their likes, dislikes, and interests change rapidly. Parents that decorate a nursery with cute little bears often find themselves redecorating when a child is a toddler because the child outgrows those furry little bears and want something that is not for a "baby". Then, the child starts school and they are ready, once again, for a change. When they become teenagers, parents are once again approached for an update to a room. Over time, this can be truly expensive! Many parents are now discovering that by using kids wall stickers that they are in a win/win situation that reduces the costs associated with redecorating the bedroom of their child. There are many different types of removable wall stickers that are appropriate for a child's room or play area. These include polka dot wall stickers, butterfly wall stickers, jungle vinyl wall decals,sports theme wall stickers and several others to choose from. The secret is to making the best use of kids wall stickers is to paint the bedroom a color that you know your child can be content with. Once this is done, you simply allow your child to help you pick out the removable wall stickers that they like when they reach the milestone of wanting a "change" in their lives. Once the appeal of those wall decals has worn off, the child may then again choose kids wall stickers that reflect their new interests. All that you have to do is peel off the removable wall stickers that are already in place and work with your child to place the new vinyl wall decals. “Just finished helping a friend with a redesign of her daughter’s room (12). We rearranged furniture, added the stripes and fabric headboard, decopaged the vinyl graphics (IKEA) to the wall - so they would not peel off, and did the window treatment in 2 days and for less than $100! It was great fun decorating with a friend and her daughter feels like a princess!!" When choosing kids wall stickers, it is important to consider how much that you have available to spend on this home improvement project. You should then acquire a catalog or samples of vinyl wall decals that your budget can afford. From there, share the pictures or the samples with your child and allow them the option of selecting the removable wall stickers that they like the best. Then, you should order them or go to your local home improvement or department store to make the purchase. Once back at home, encourage your child to work with you to place the vinyl wall decals. 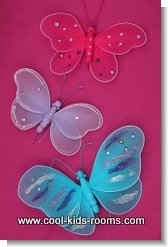 You could encourage them to decorate just one wall, or to spread the kids wall stickers over several walls in the room. If they have a certain area that they spend a lot of time, such as a desk area or a corner, the removable wall stickers can be placed in that area to enhance the space. 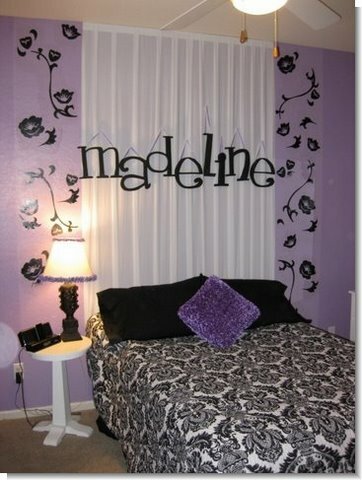 Vinyl wall stickers can be used in several rooms - a bedroom, a play room, and even a bathroom. In addition to this, they do not have to be placed on a wall. They can be placed on mirrors, a headboard to a bed, a dresser, doors, toilets, the outside of a bathtub, and several other locations. You can truly allow your creativity to flow when using kids wall stickers to redecorate a space that is important to your child. Vinyl wall stickers can be purchased at many different retailers in the community, as well as many retailers that focus on home decoration projects on the internet.